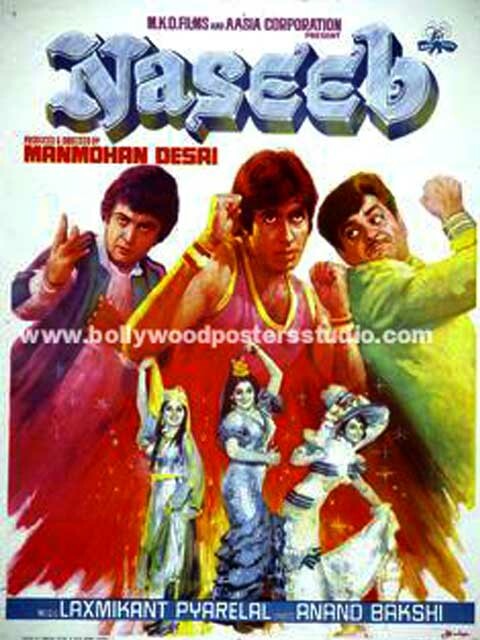 Get your photoshoot with Indian Bollywood posters stunningly unique and personal. 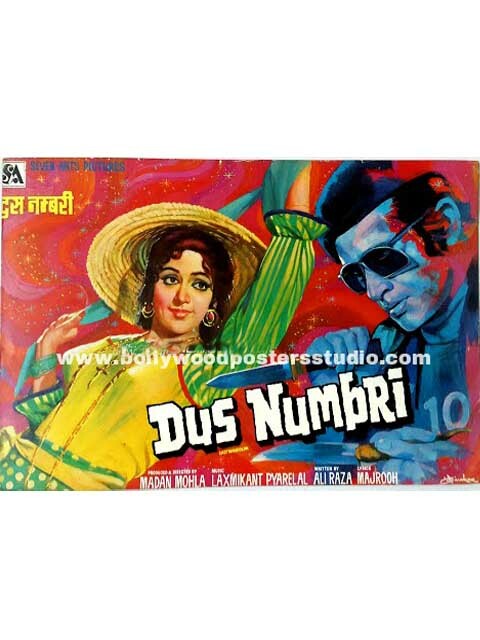 Contact us on mobile no. 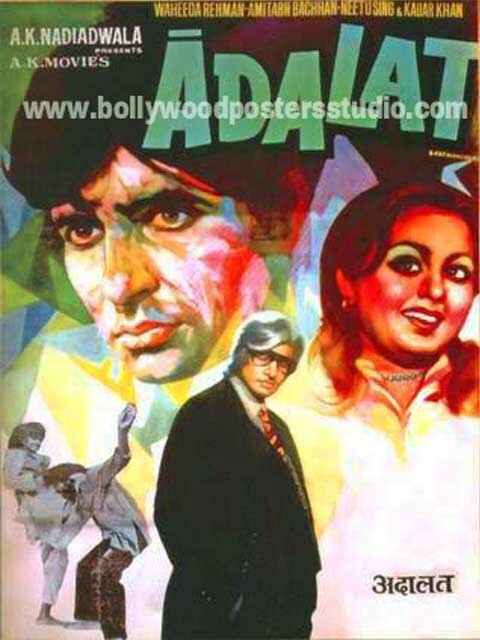 +919022034923 / +917666866256 or MAIL US AT: bollywoodpostersstudio@gmail.com Bollywood posters studio, Mumbai with its highly talented and experienced artist make your very own customize Indian Bollywood posters hand painted with your favourite movie super star. To make your photoshoot with Indian Bollywood poster is a brand new style to zing your events, Bollywood themed party, wedding backdrops etc. 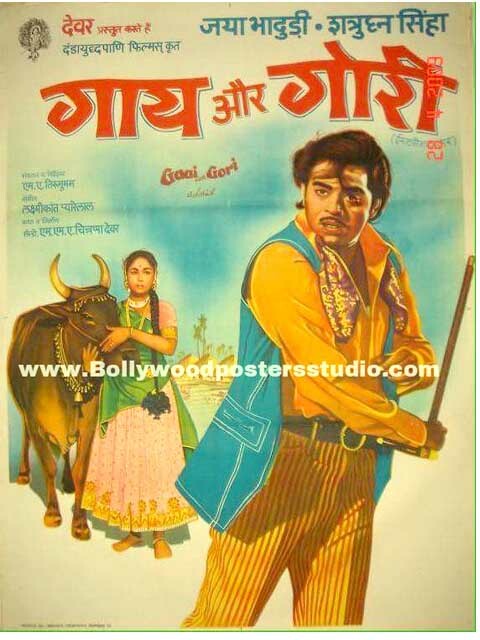 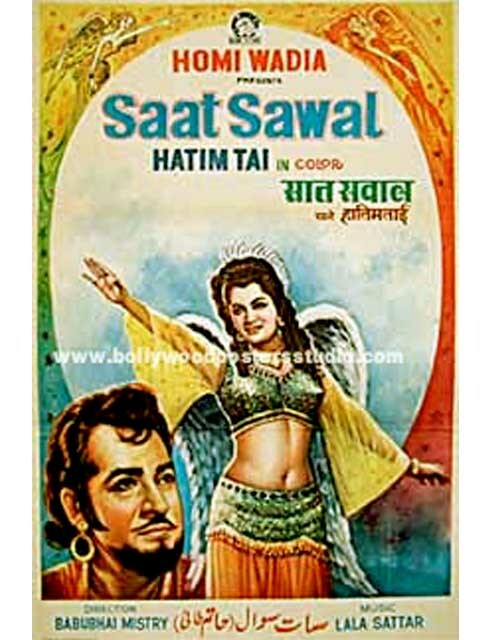 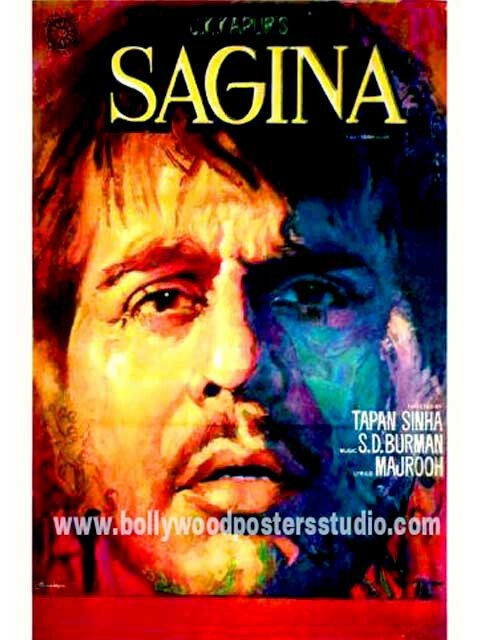 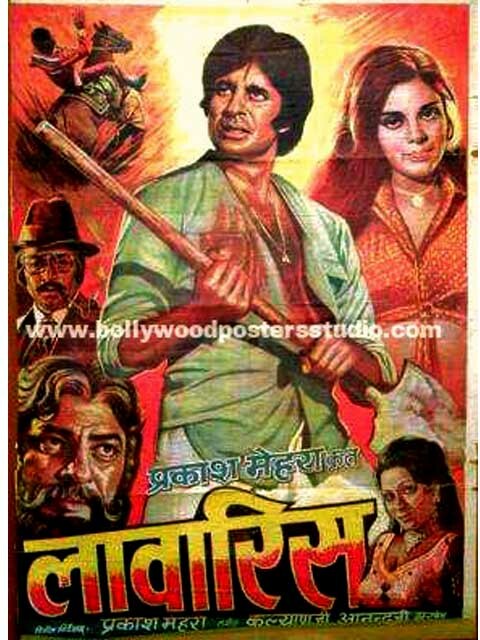 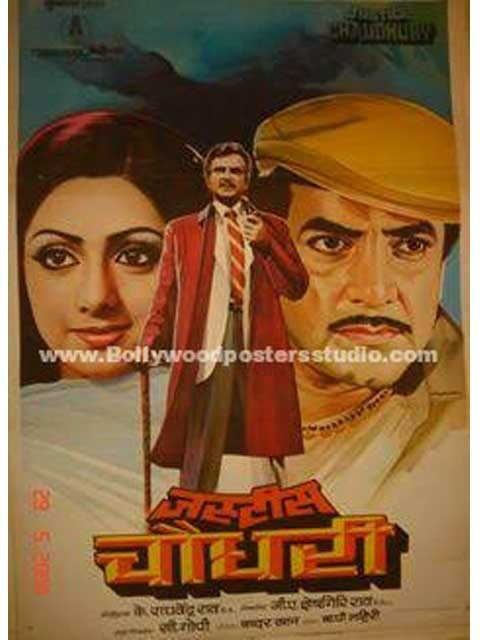 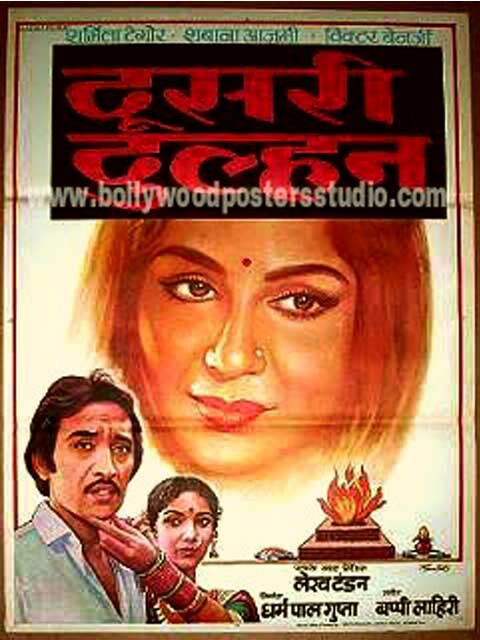 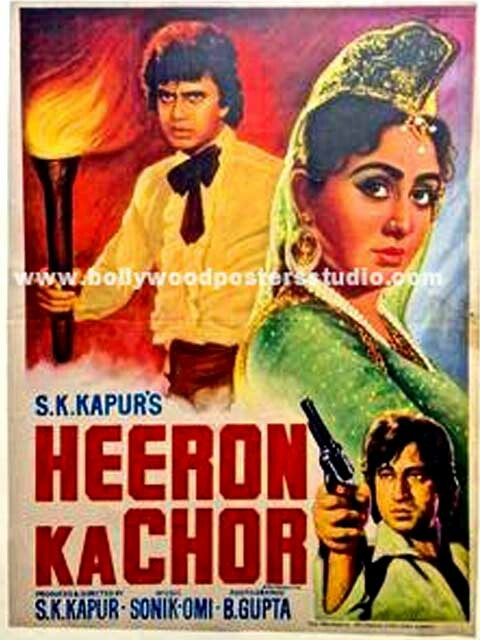 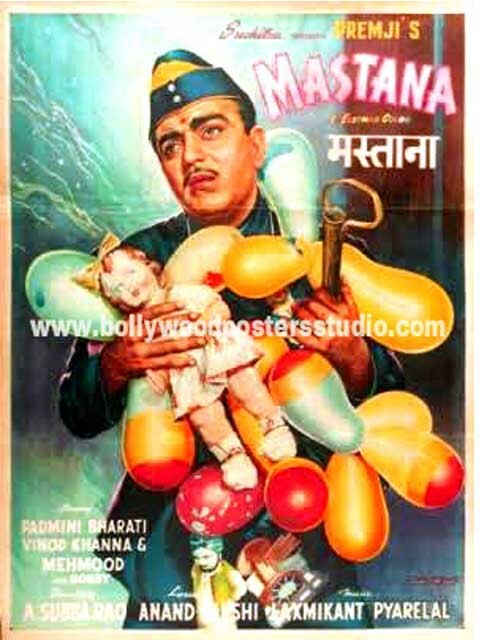 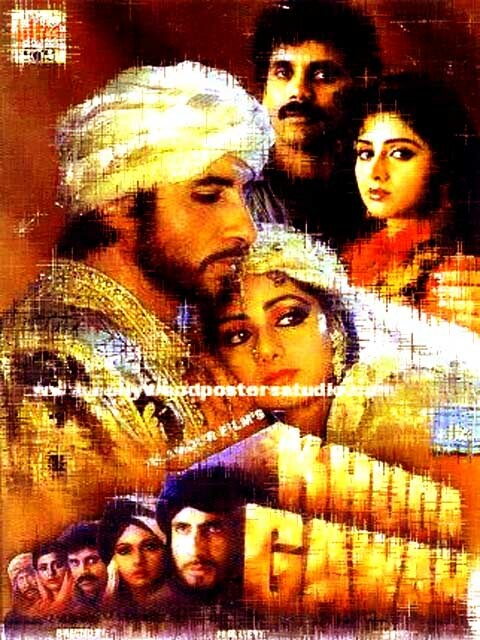 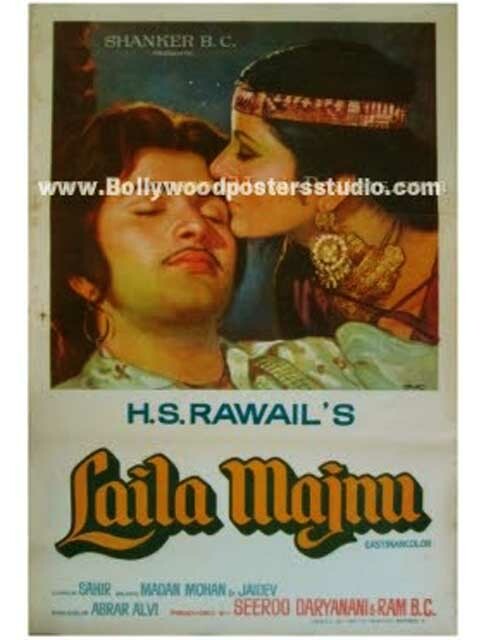 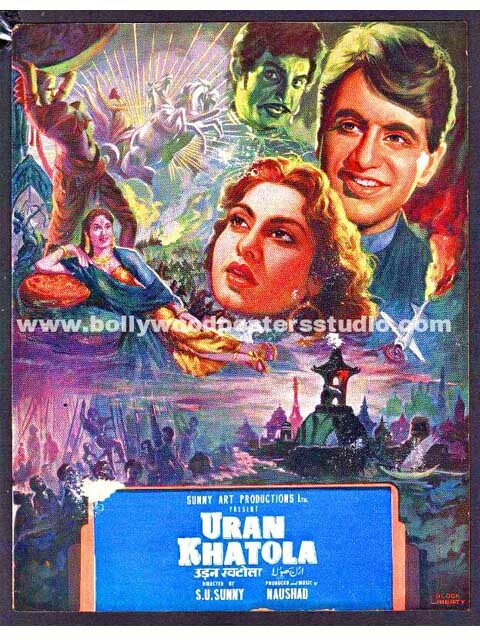 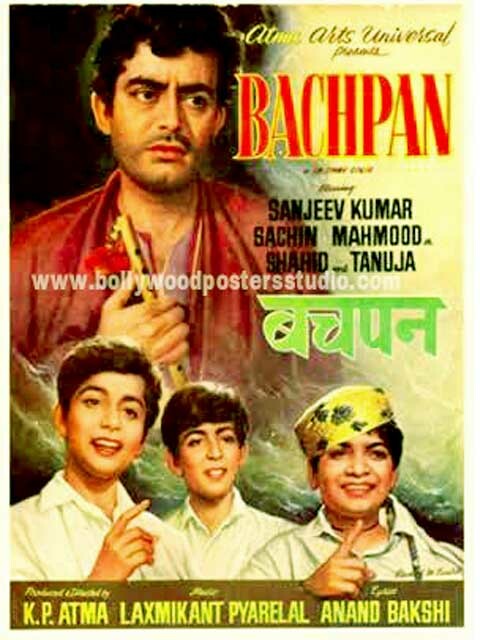 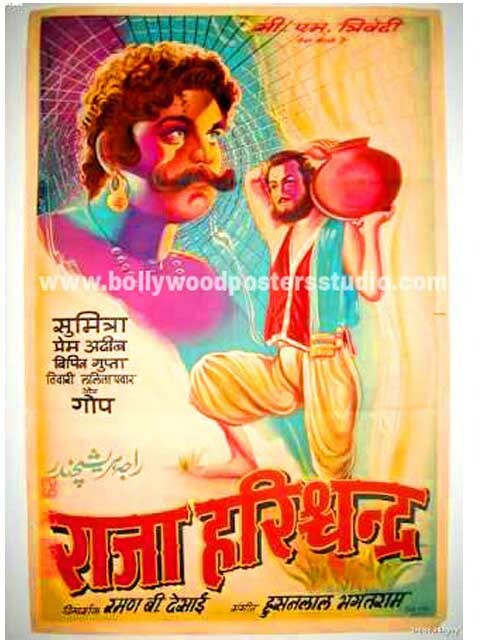 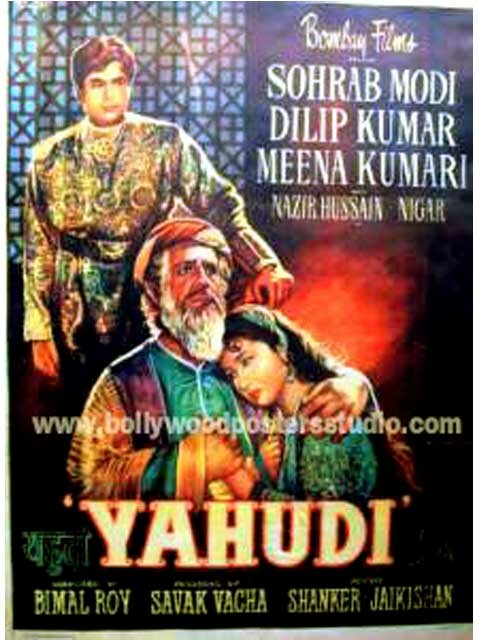 These hand painted Indian Bollywood poster can be used for publicity and advertising. 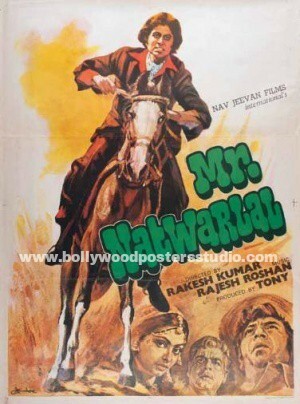 Foreigners and NRI’s are an ardent lovers marked by BOLLYWOOD POSTERS STUDIO. 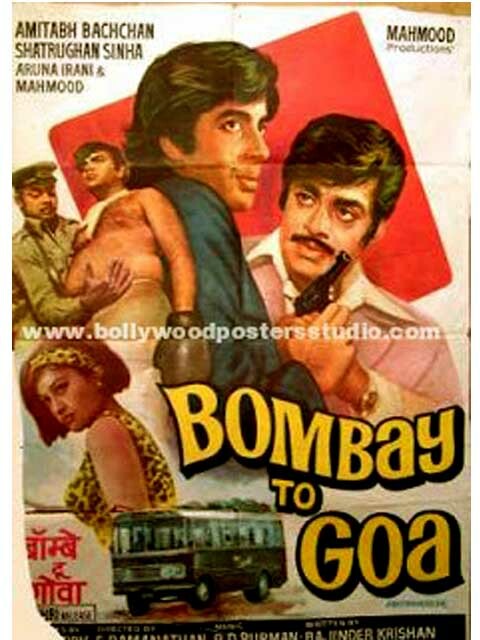 These foreigners and NRI’s are avid to get their photoshoot with the Bollywood film stars. 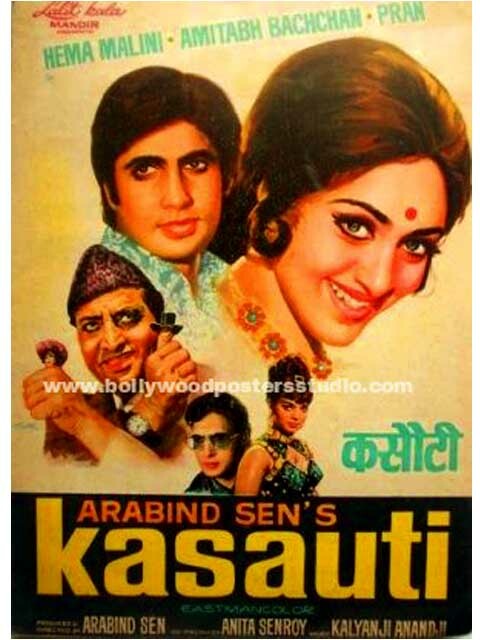 Even they want to add their face on the Bollywood poster. 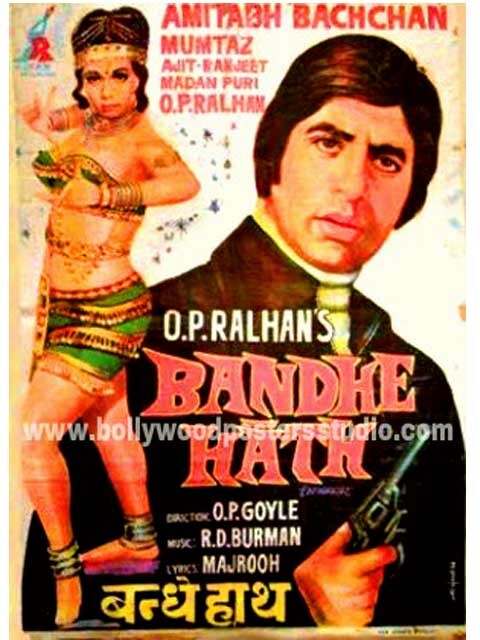 They simply demand to represent themselves in a full filmy avatar. 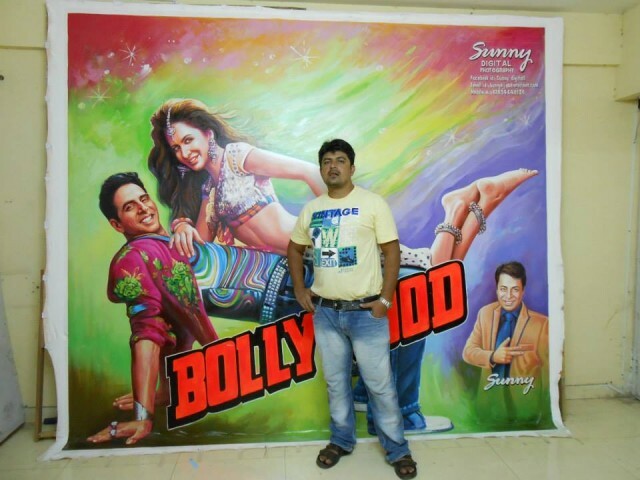 These 10ft X 11ft poster TEES MAAR KHAN hand painted Indian Bollywood is specially designed for the event held in London. 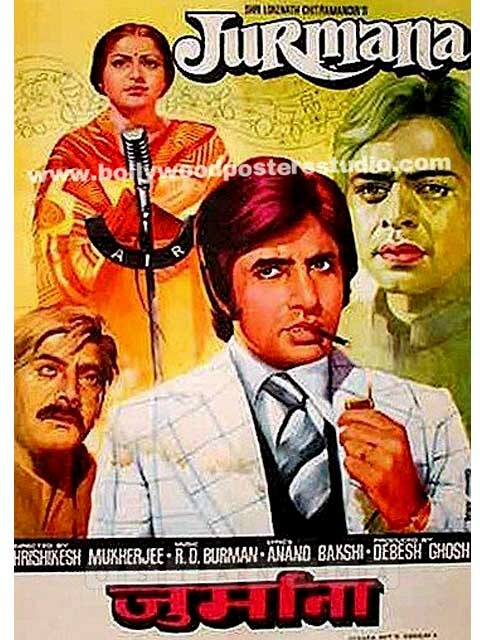 Hand painted Indian Bollywood poster and the guys who painted / executed it on oil canvas are really appreciated on the foreign lands. 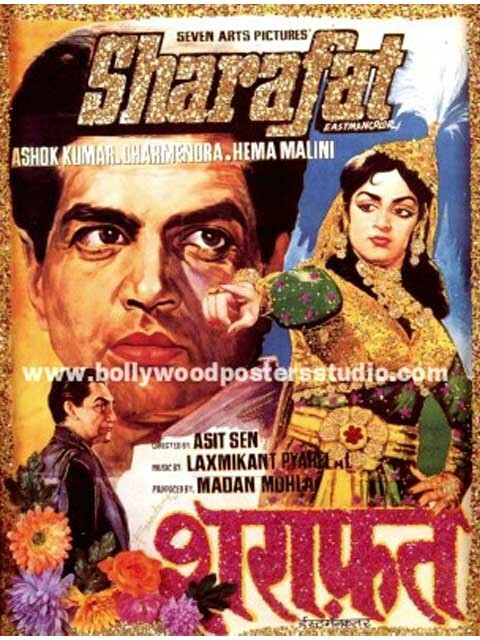 These hand painted Indian Bollywood poster are cherished abroad. 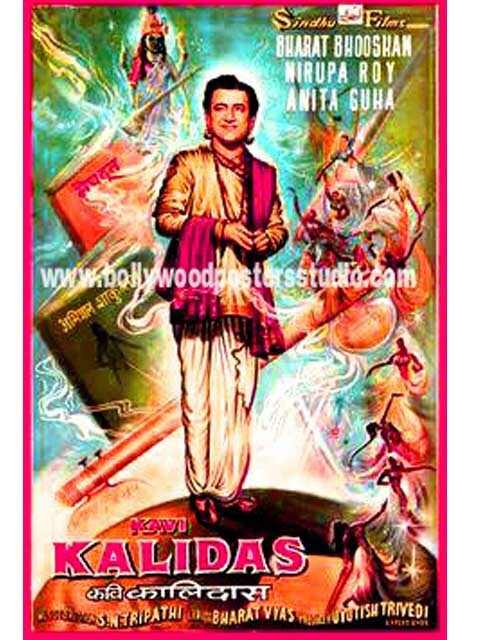 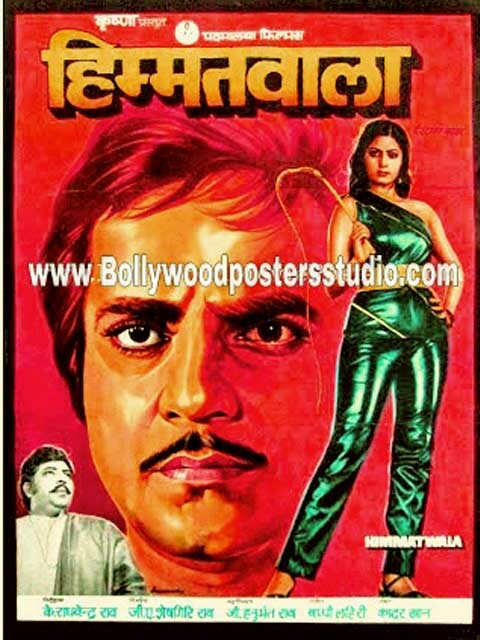 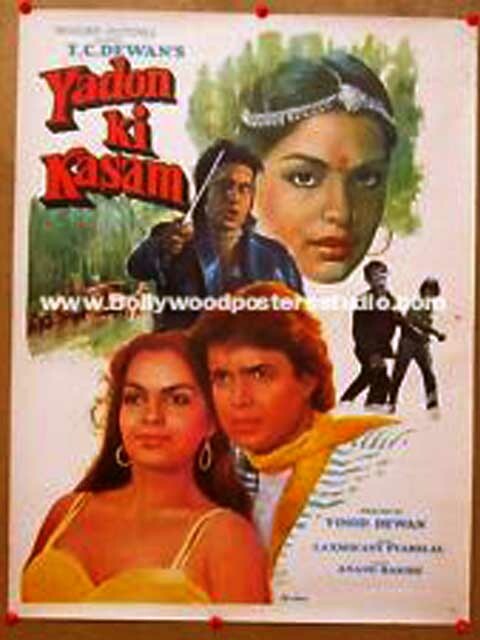 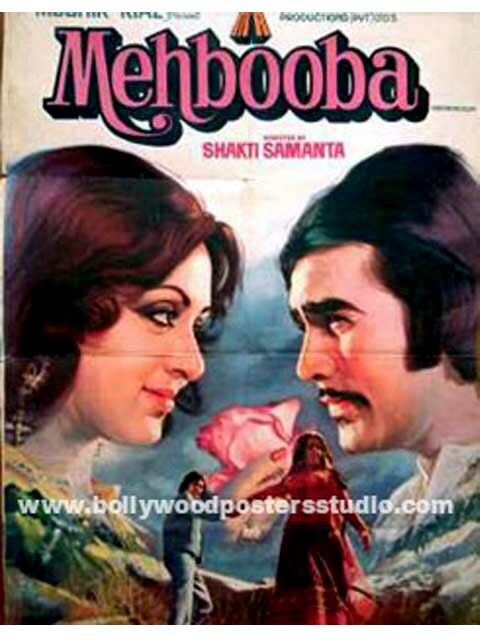 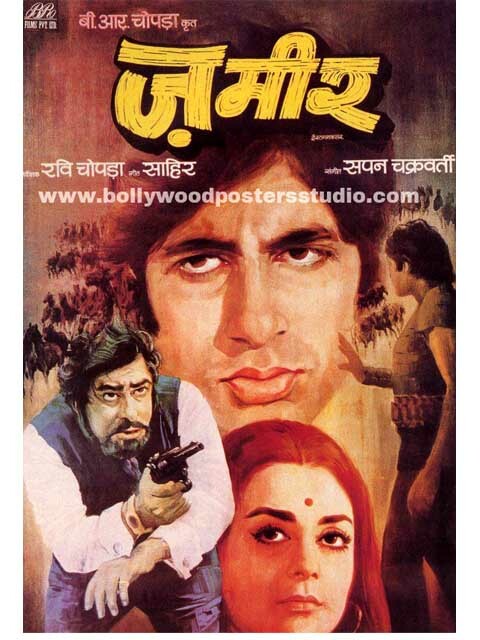 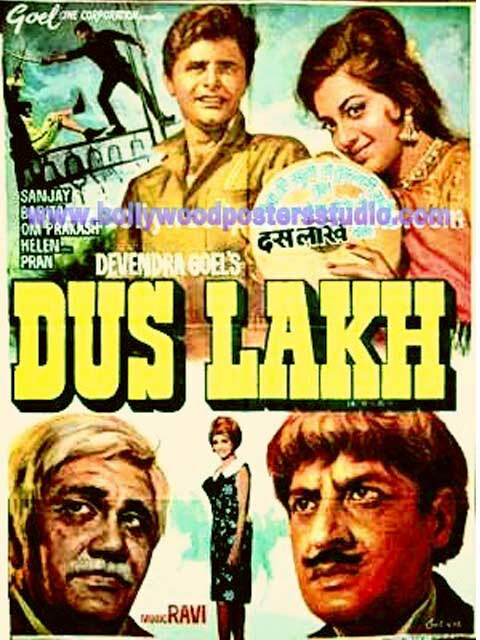 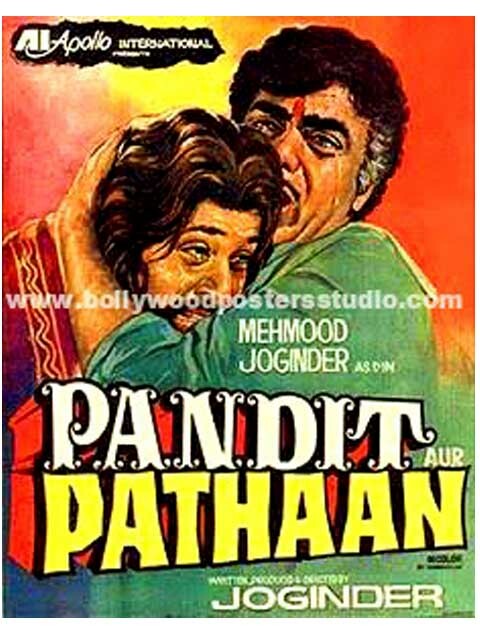 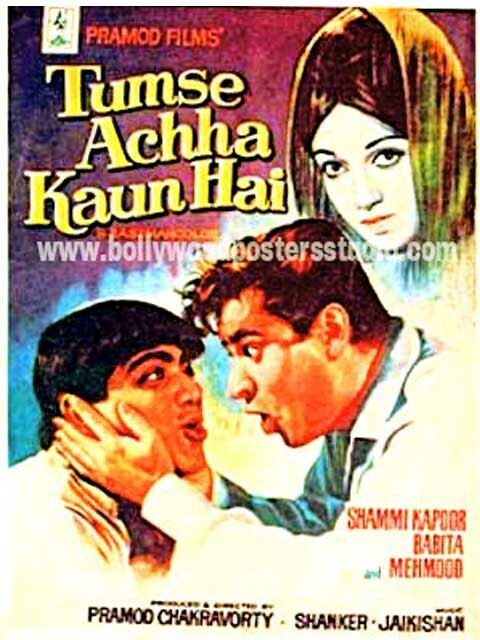 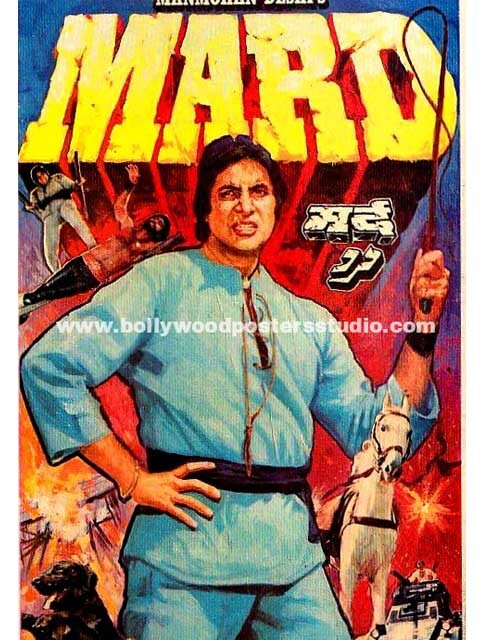 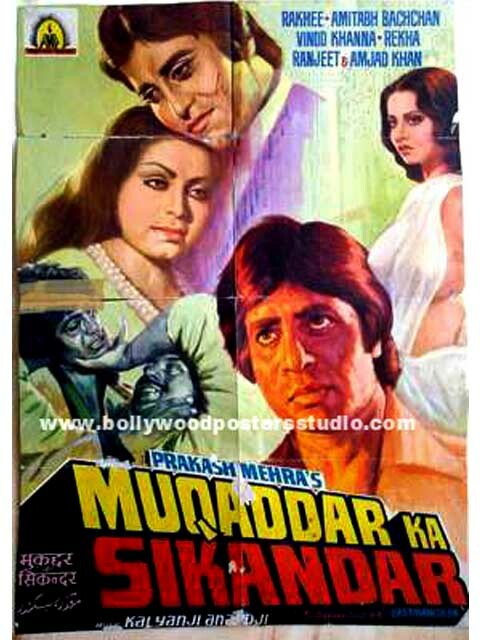 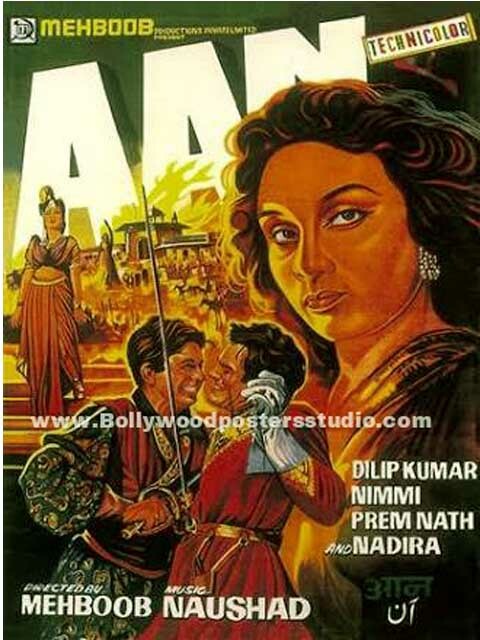 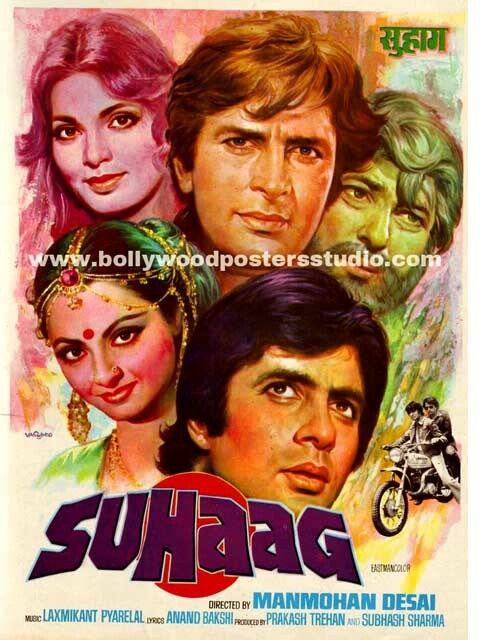 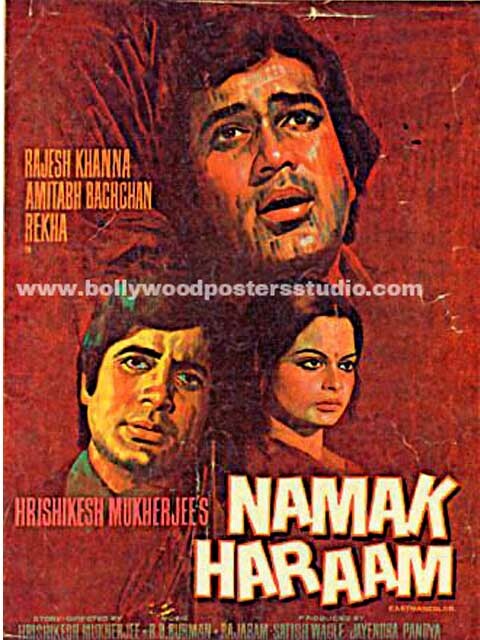 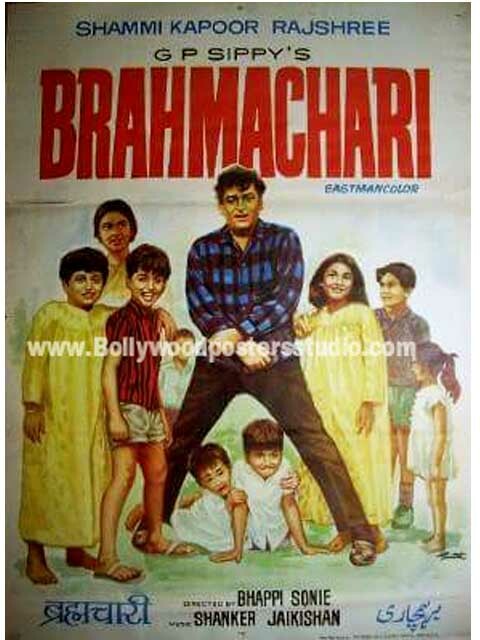 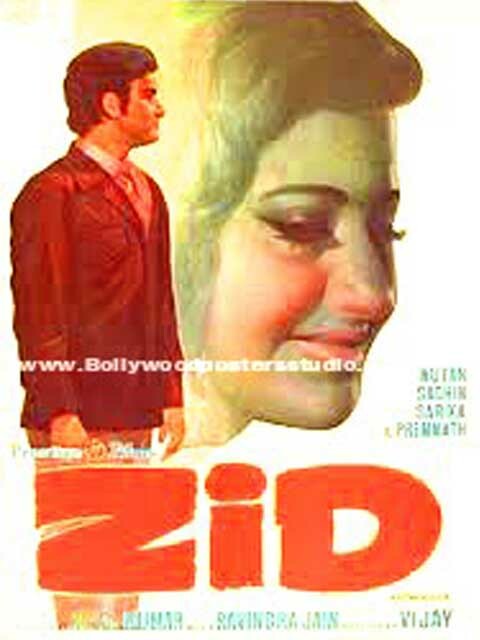 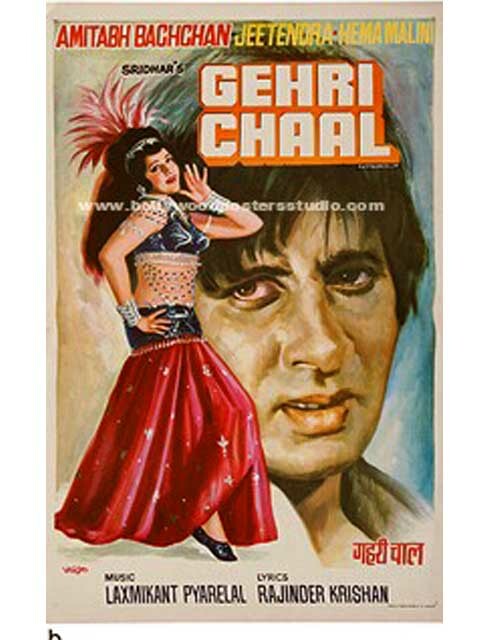 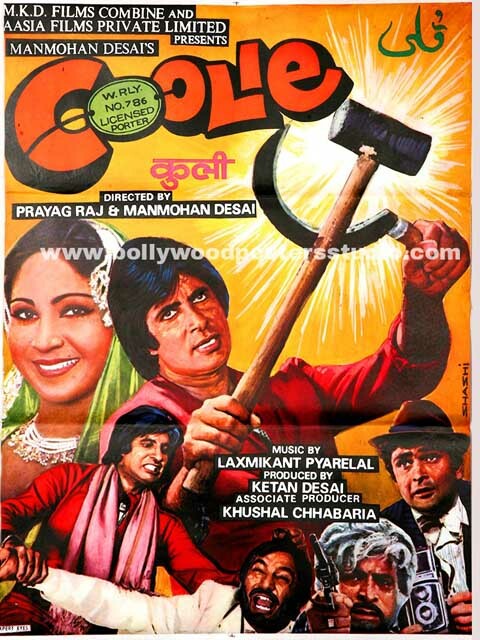 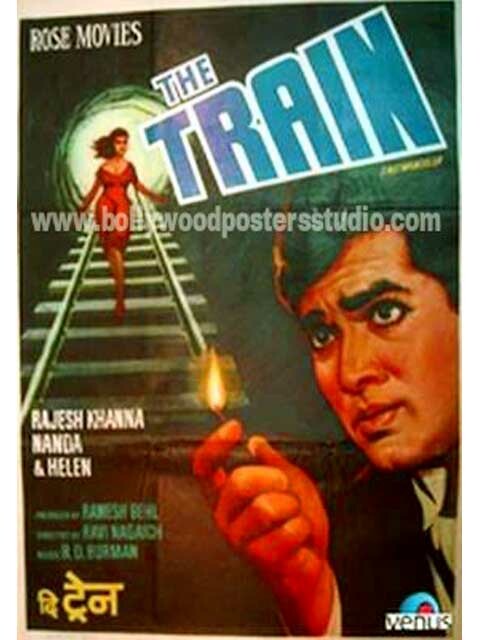 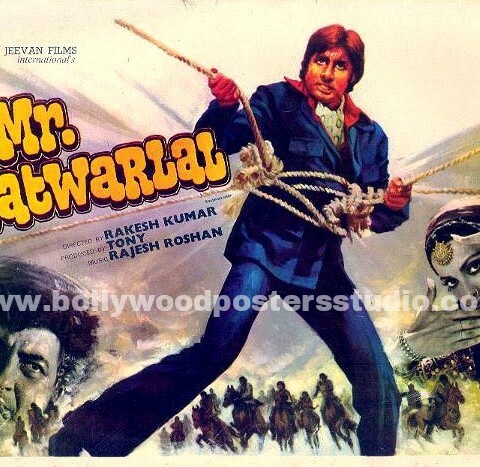 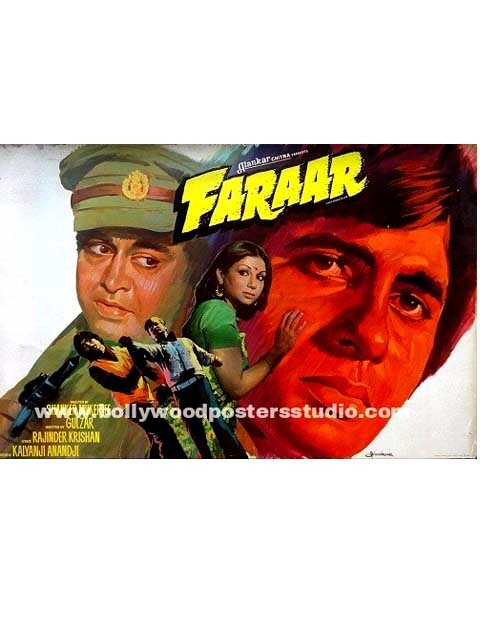 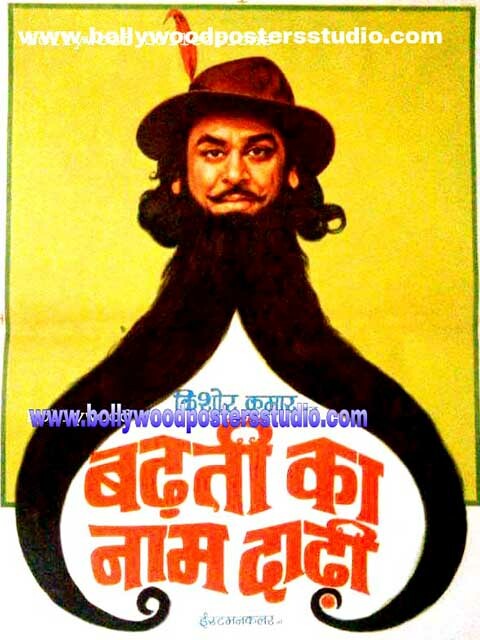 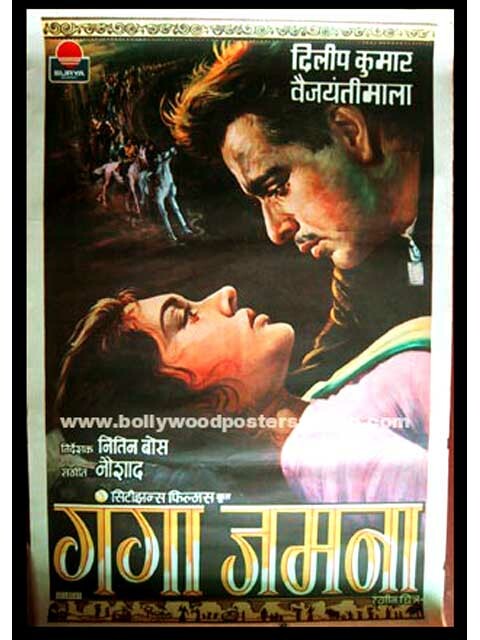 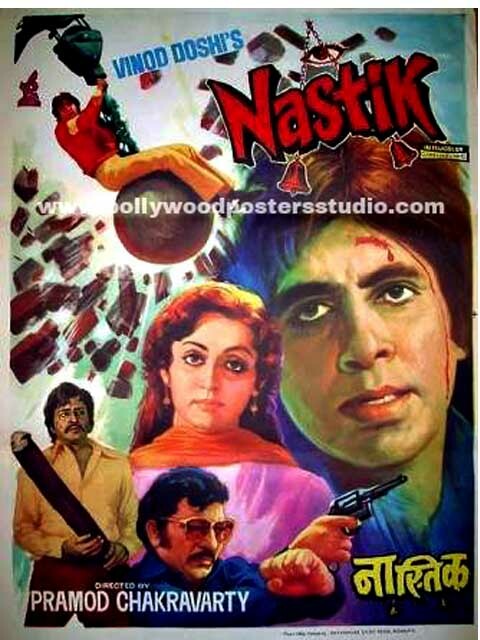 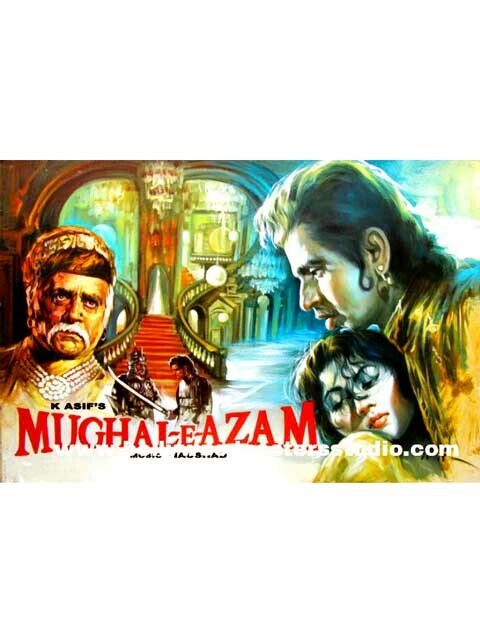 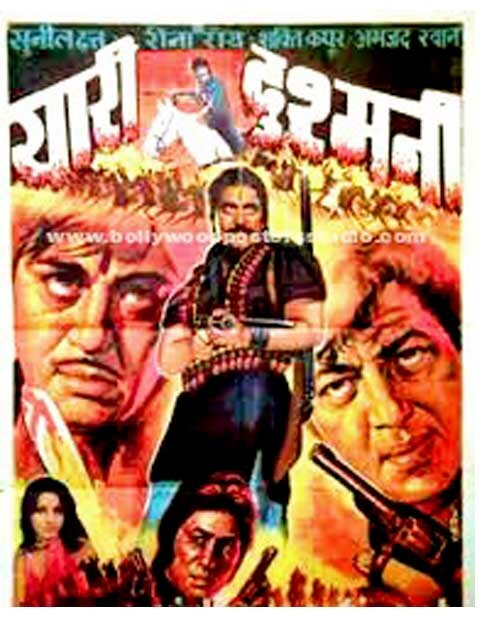 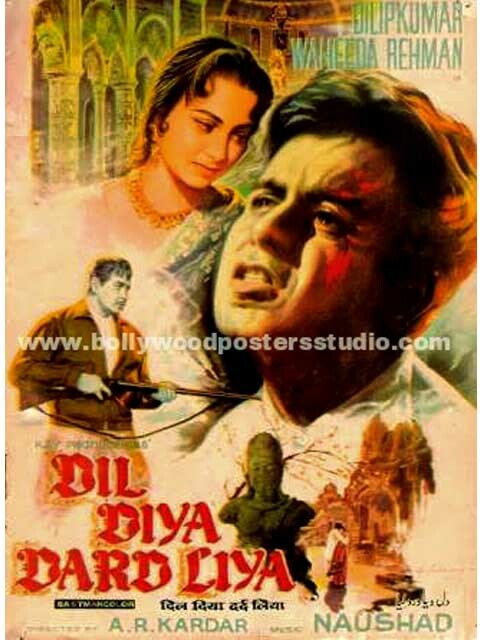 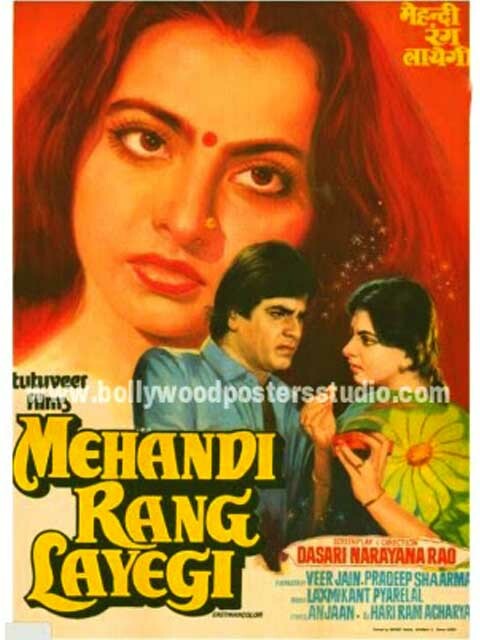 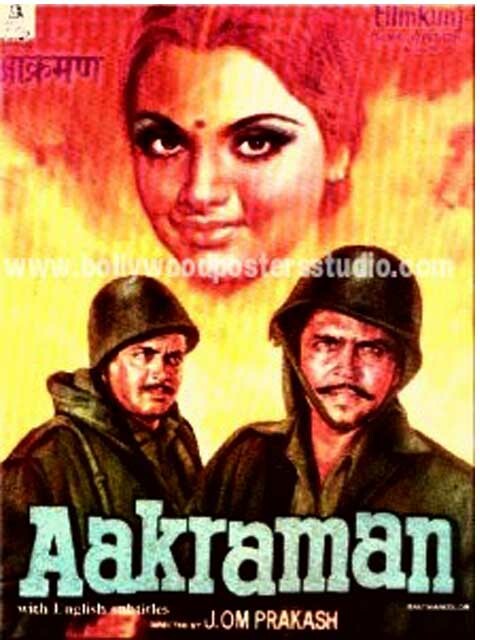 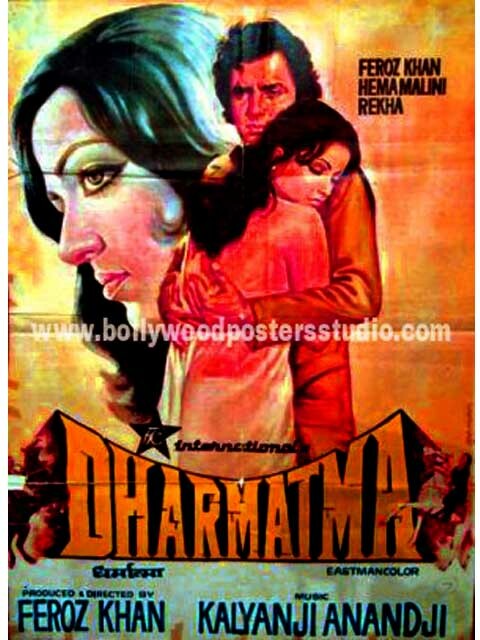 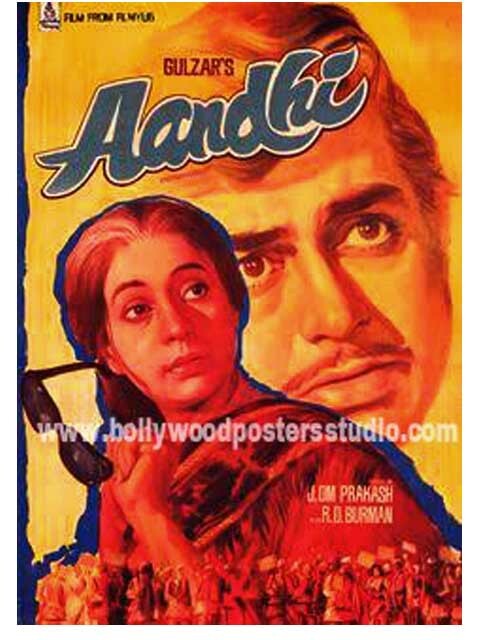 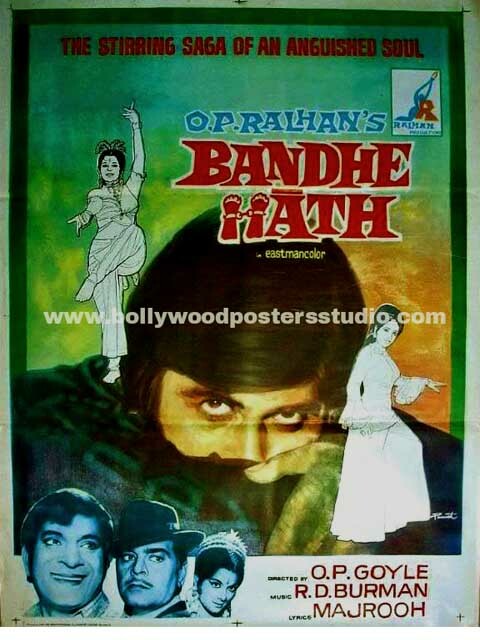 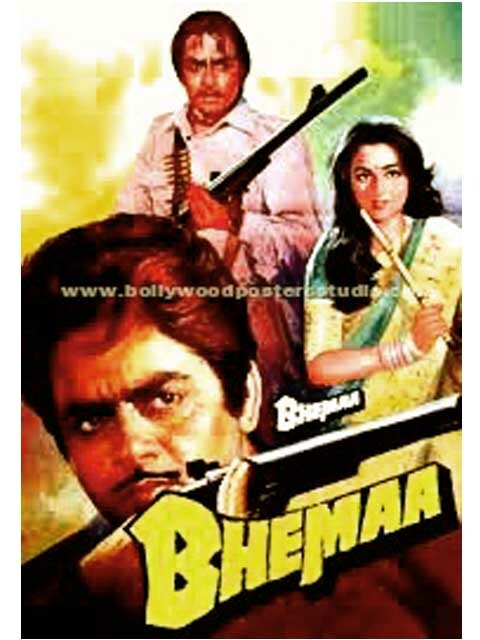 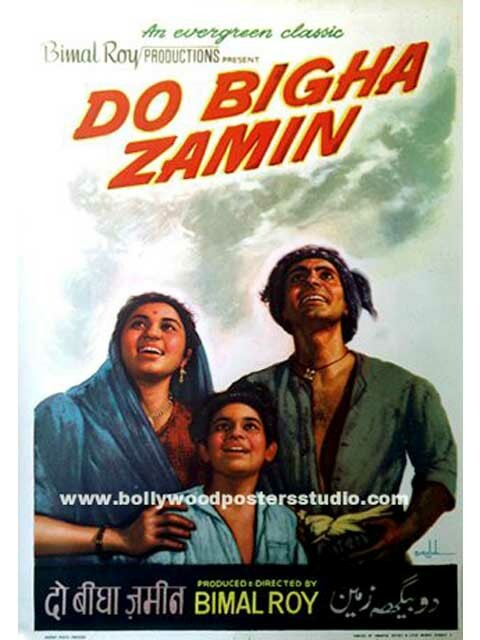 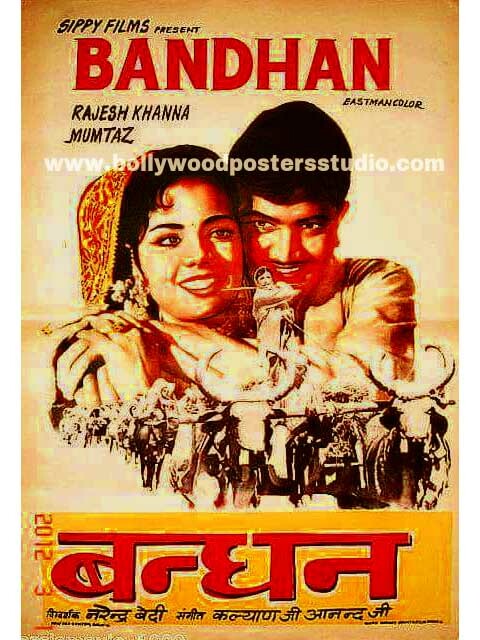 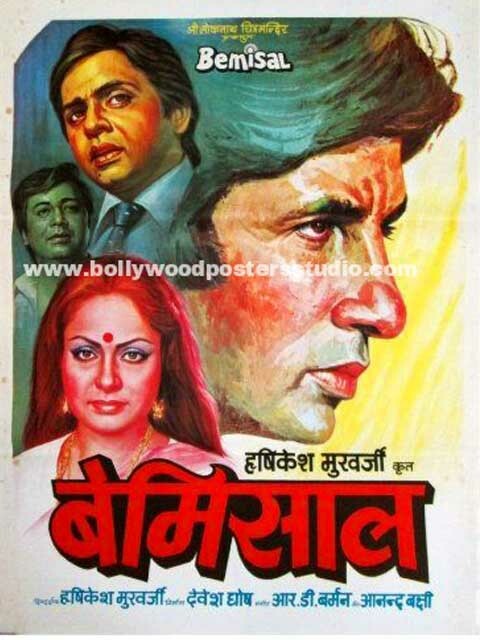 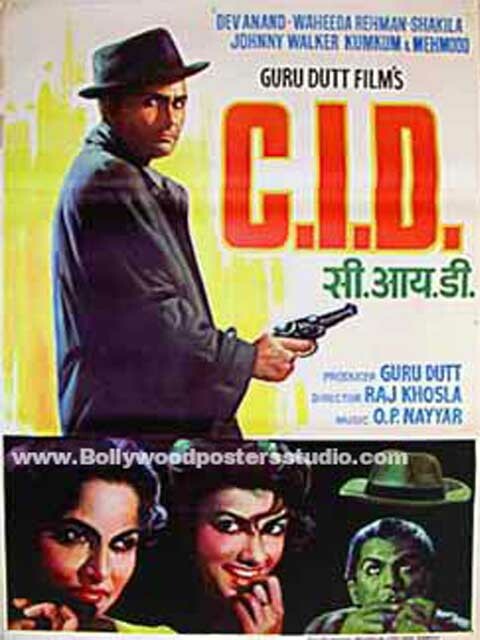 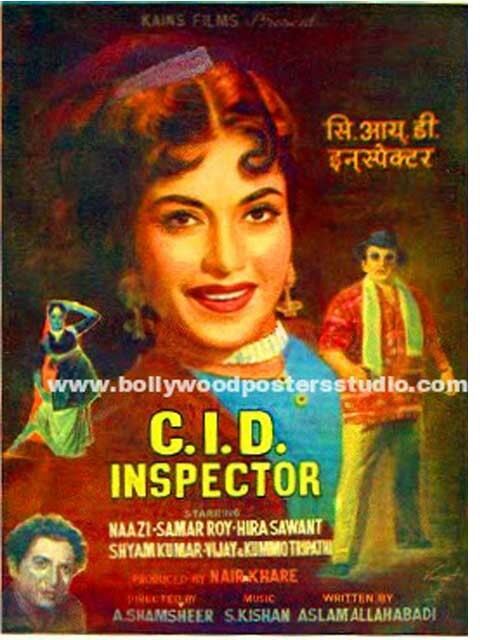 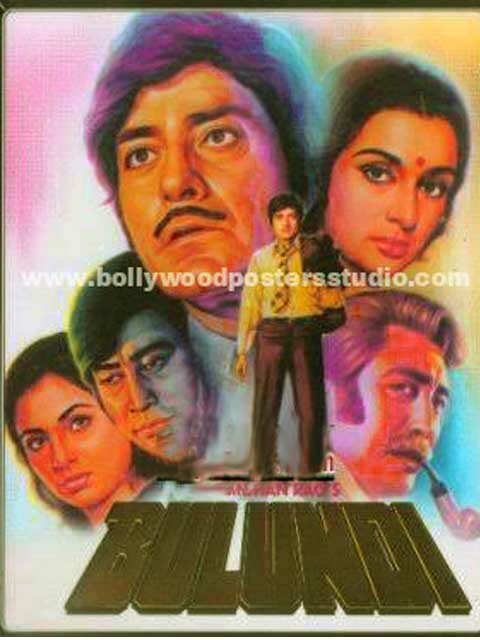 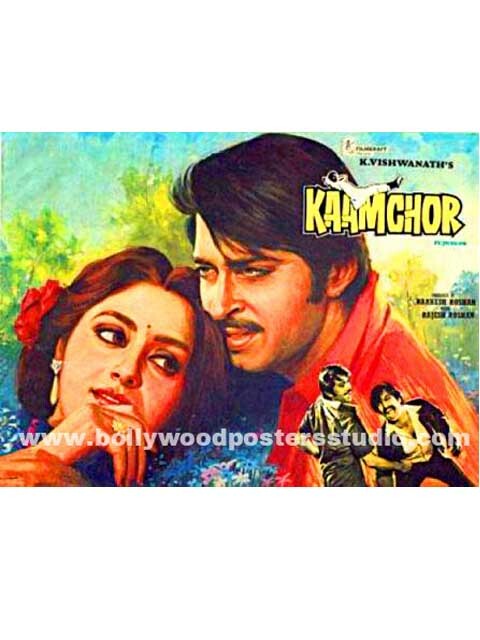 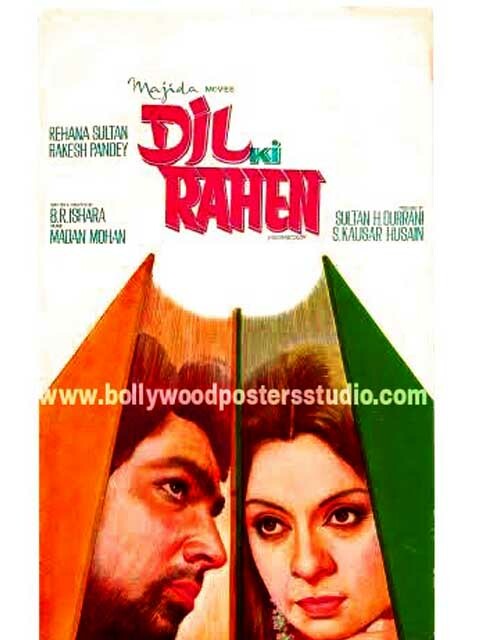 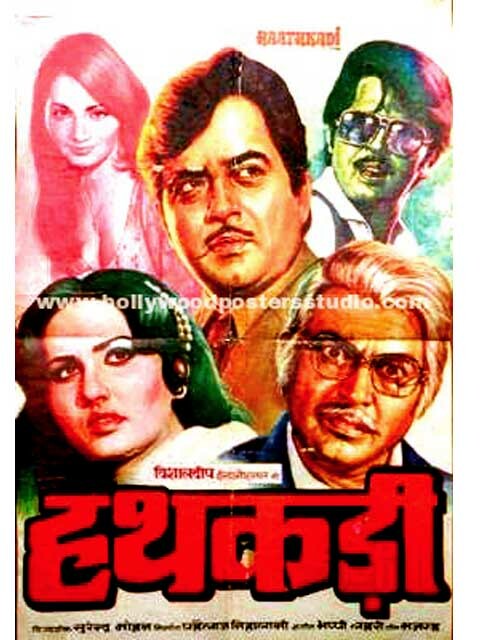 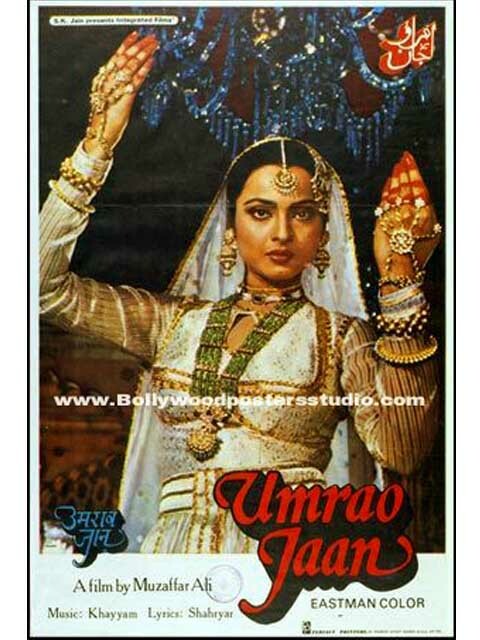 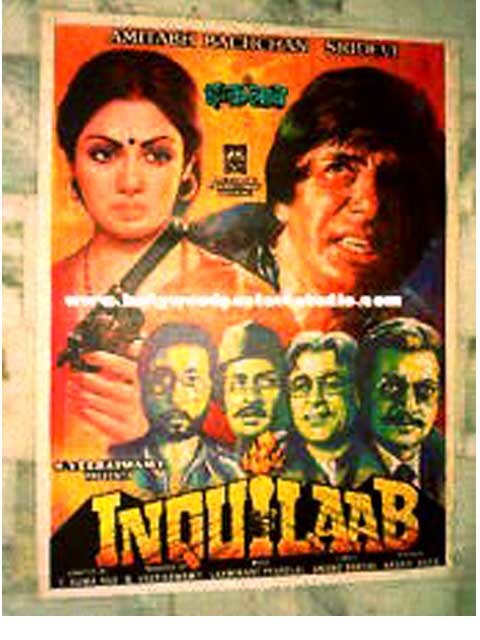 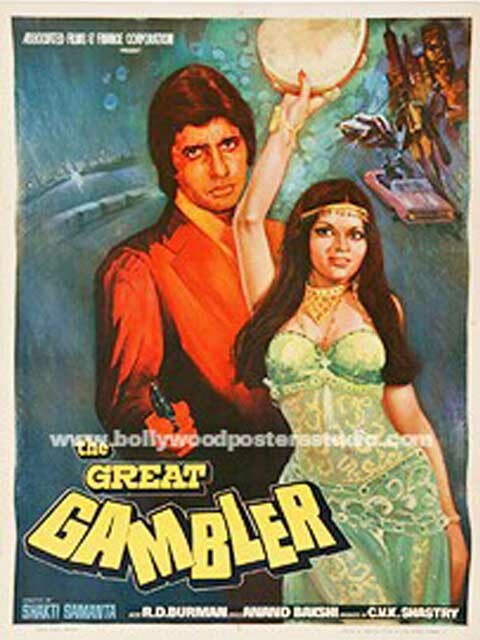 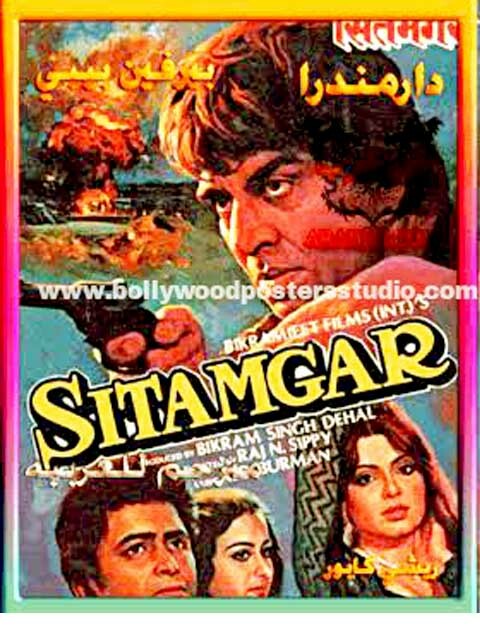 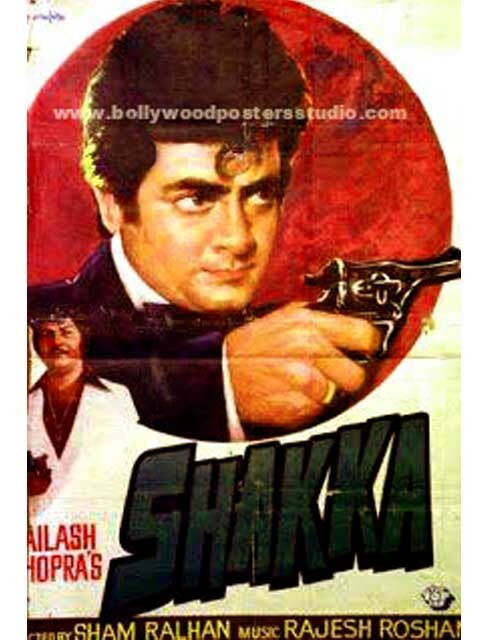 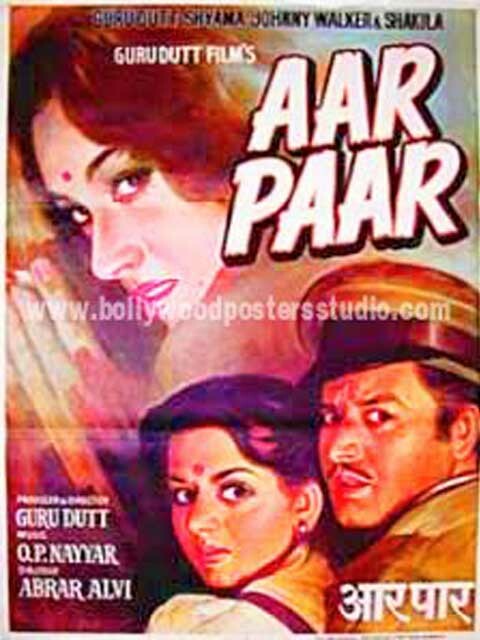 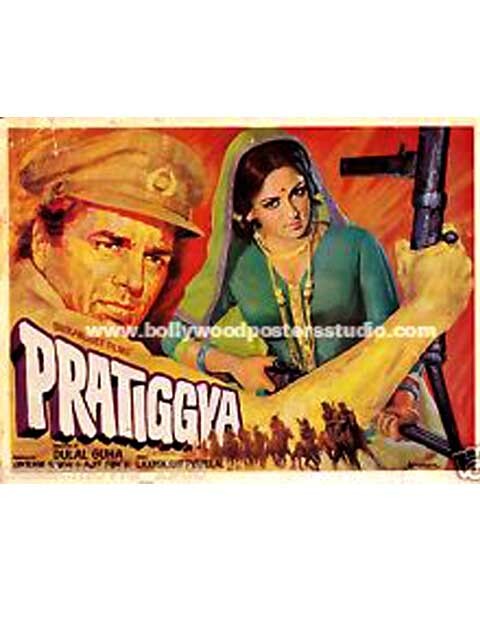 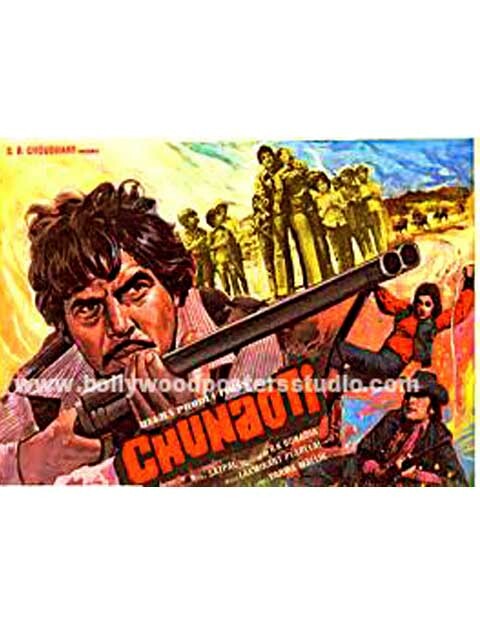 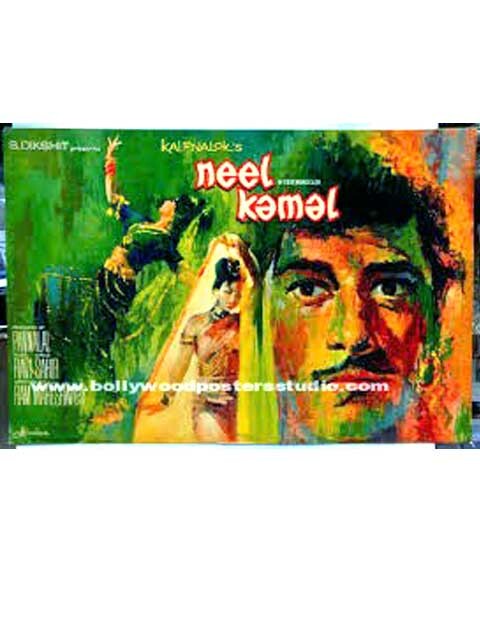 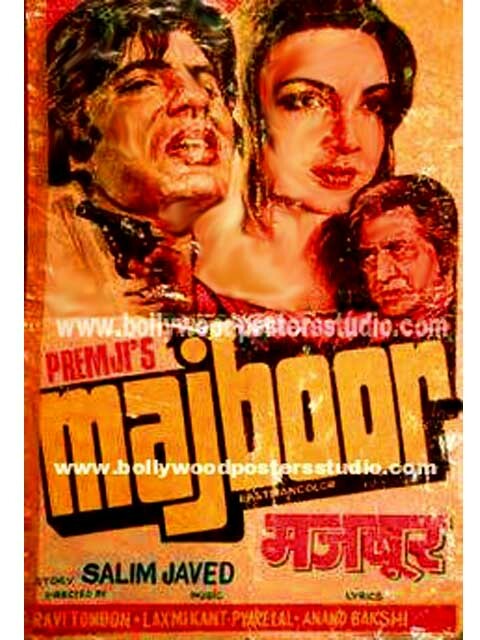 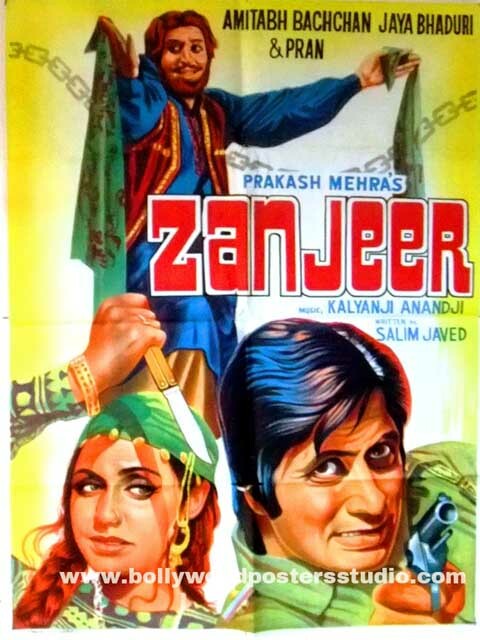 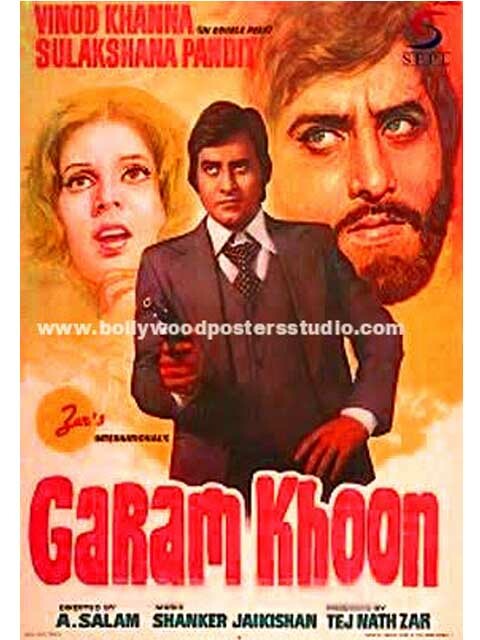 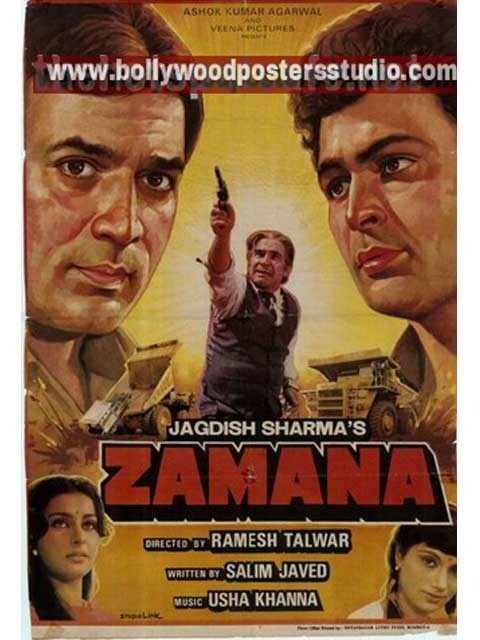 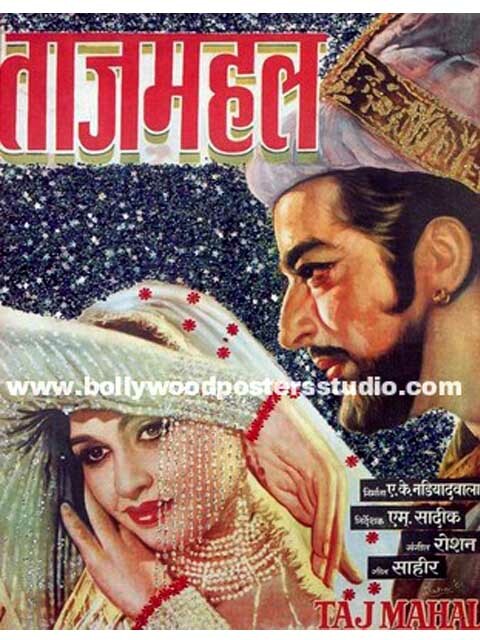 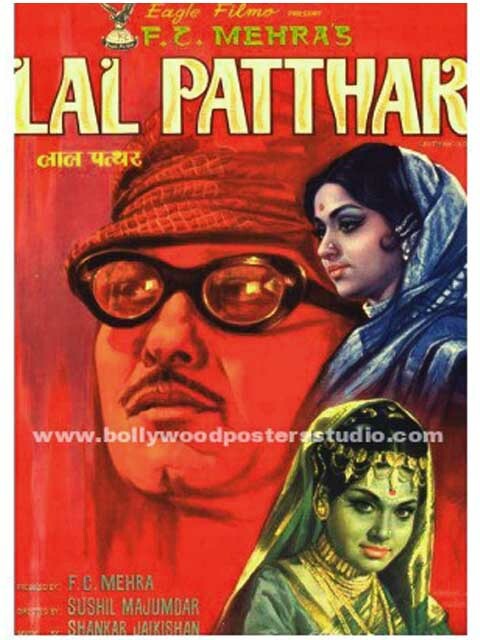 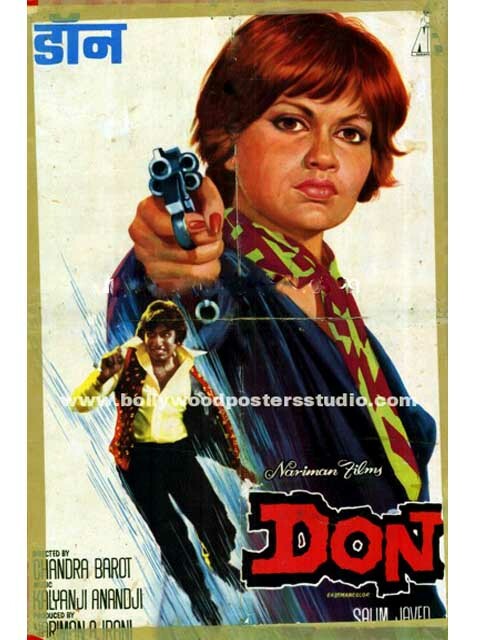 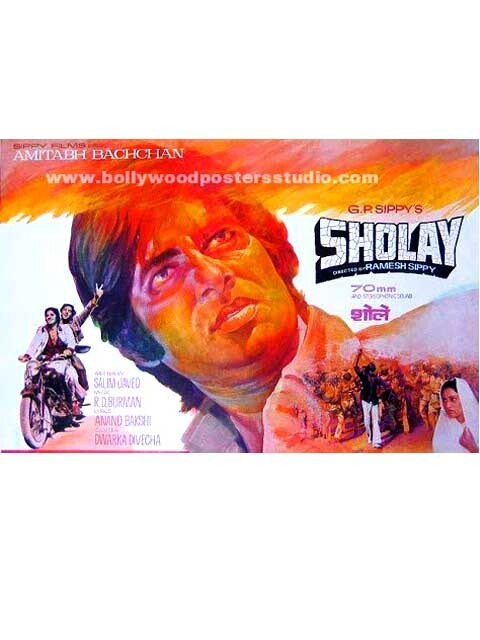 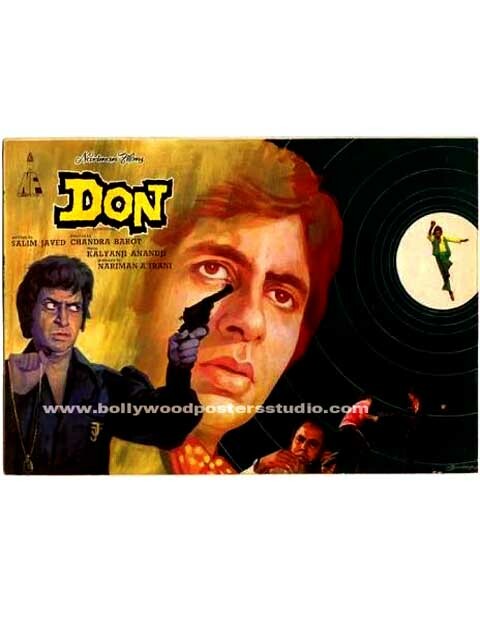 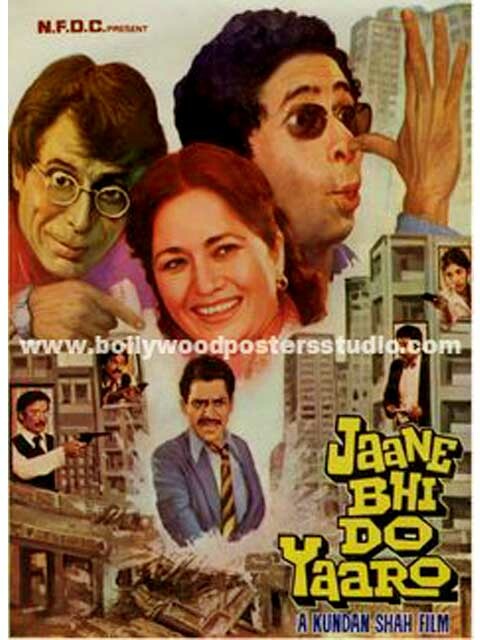 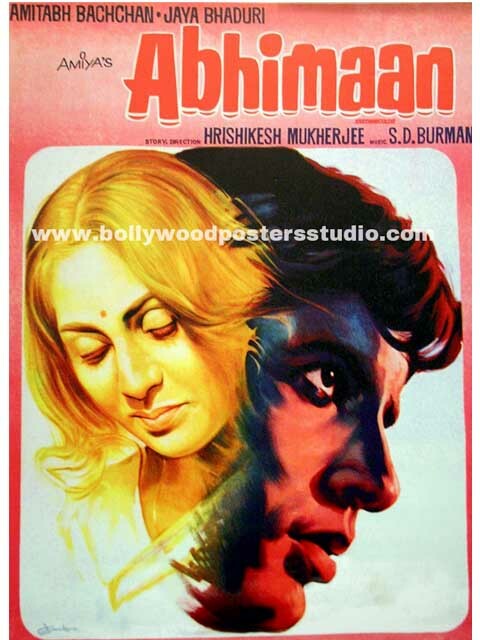 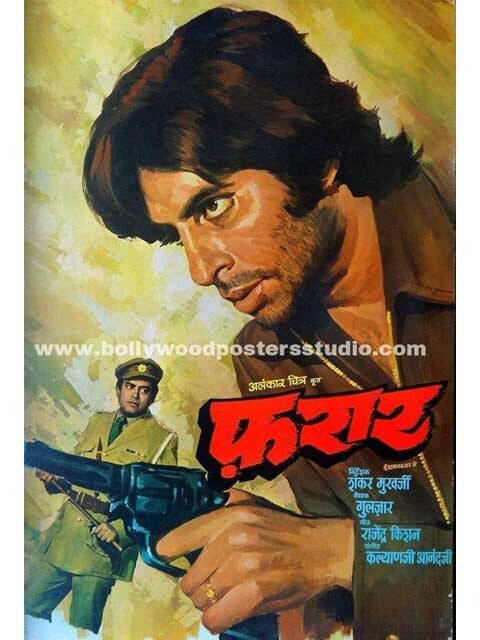 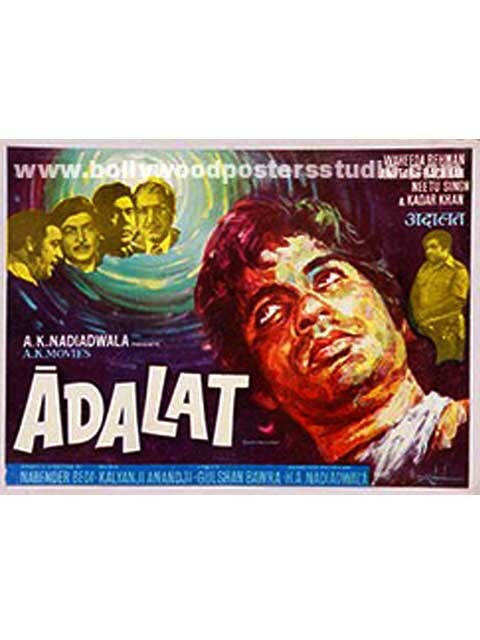 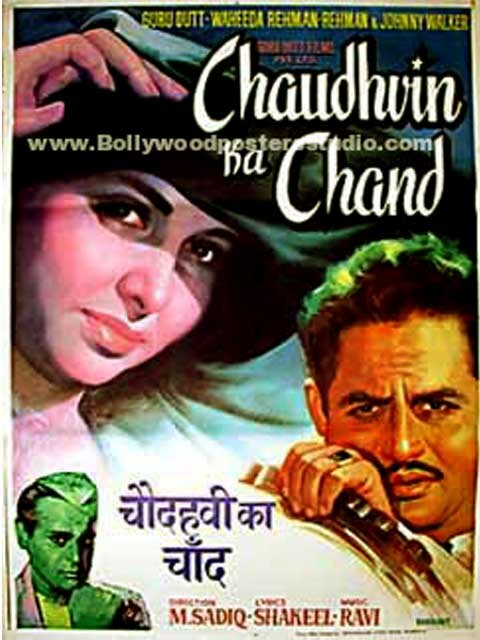 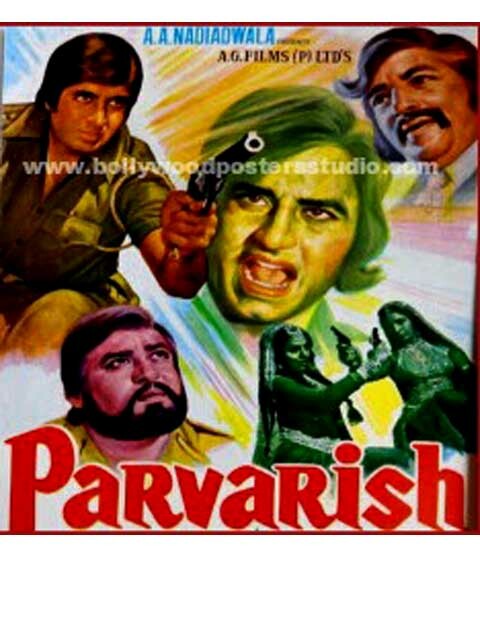 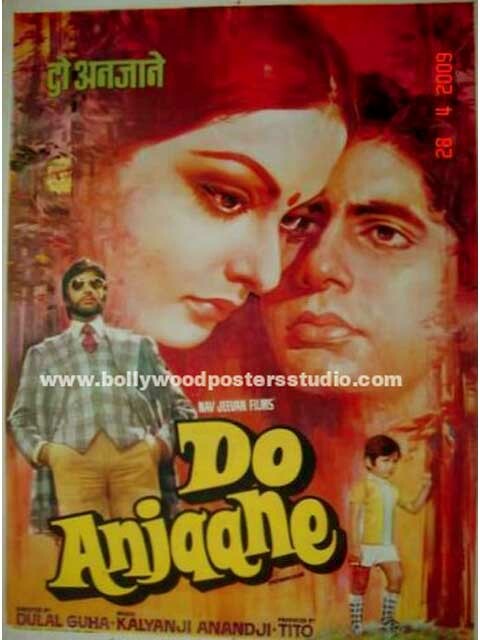 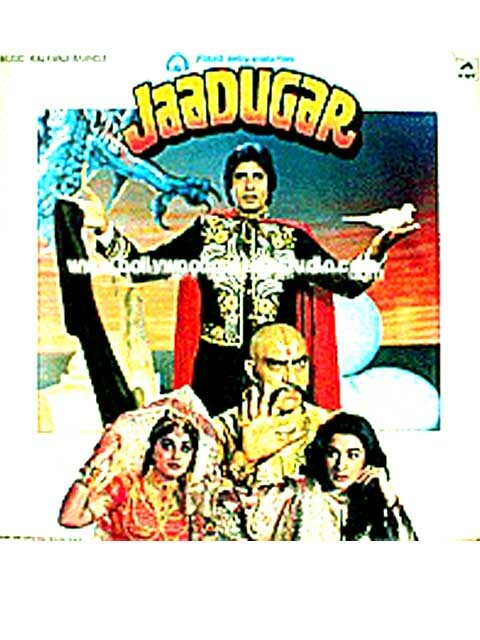 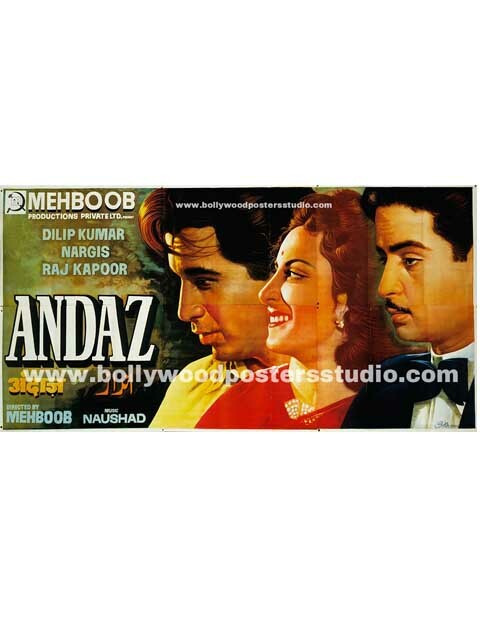 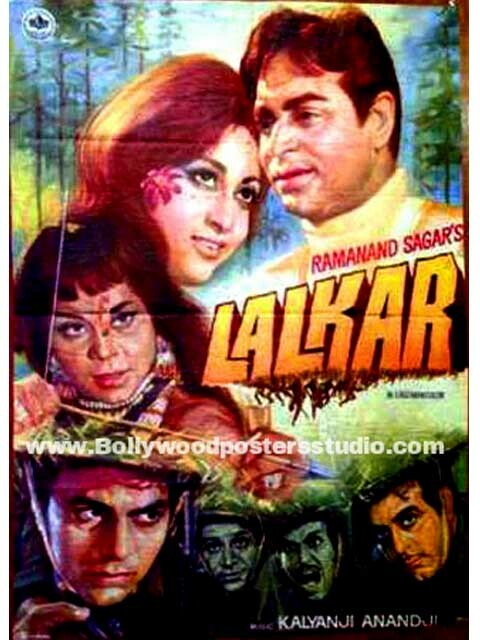 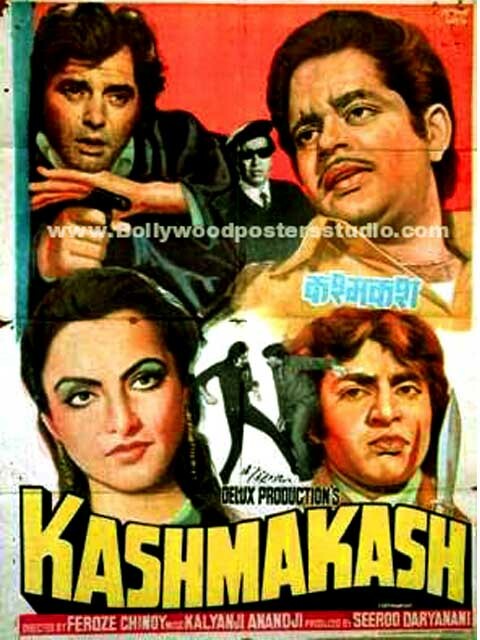 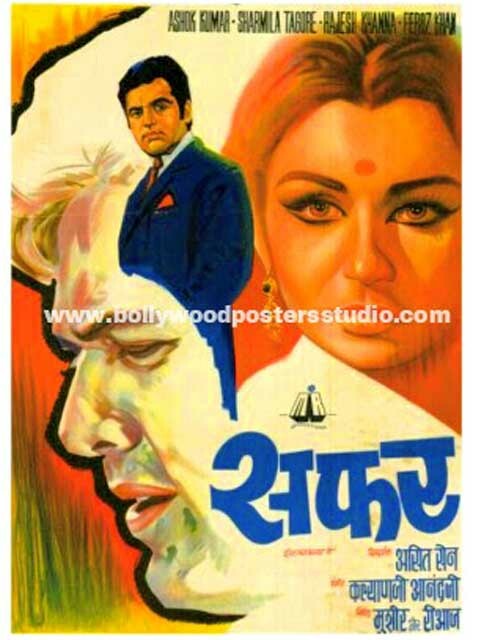 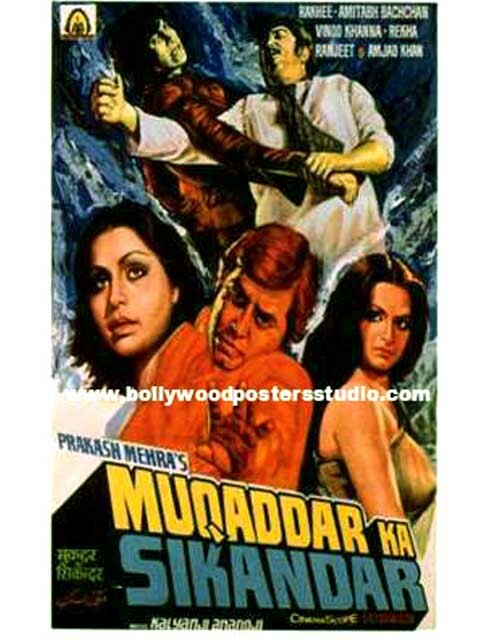 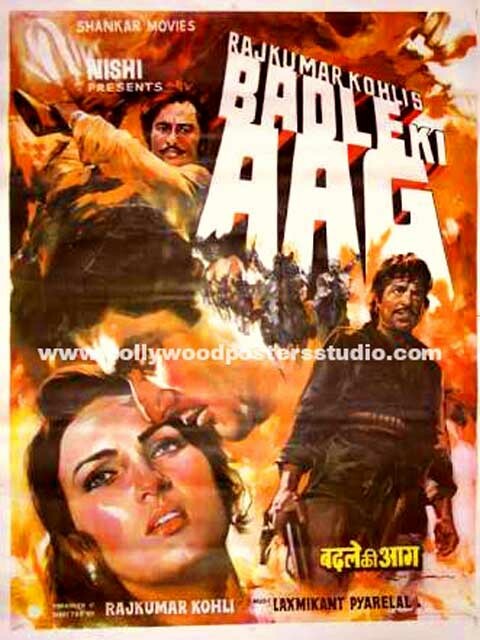 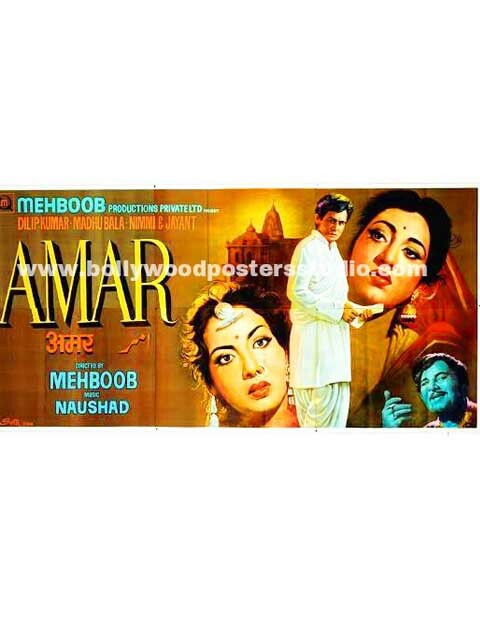 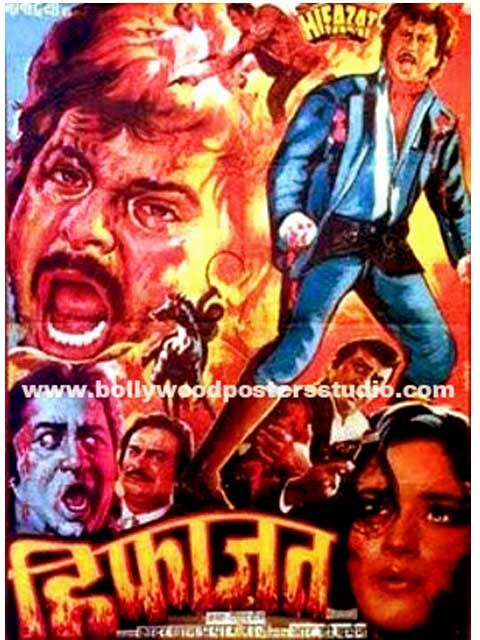 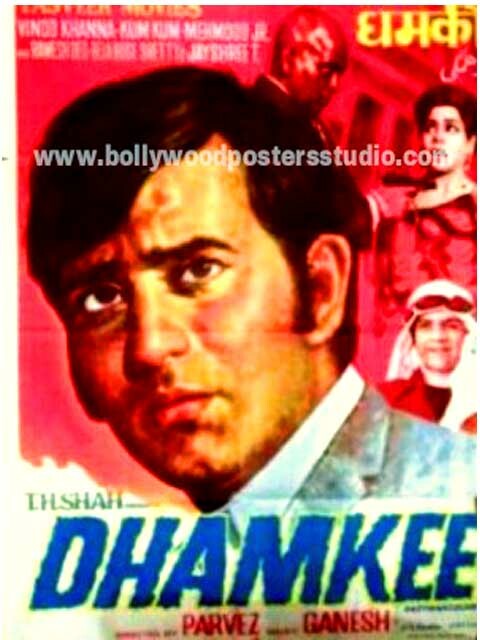 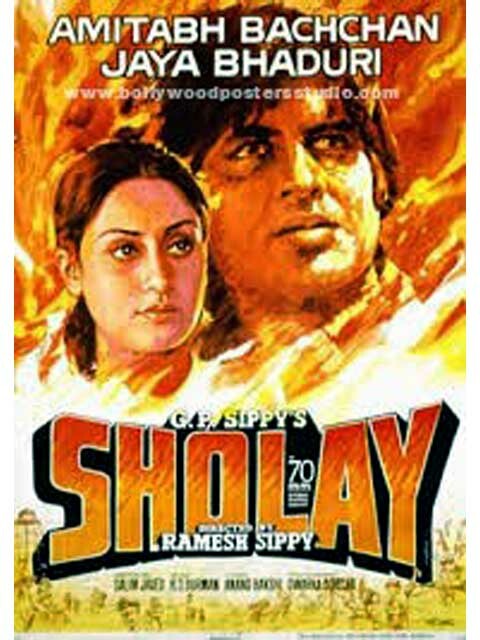 Our client base is mainly foreigners and NRI’s who are collectors of rare gem – Indian Bollywood poster art.